Aleks is a freelance journalist based in Gjøvik, Norway, covering ski-related sports and track & field. He also works part time as a model and reads a new book almost every week. 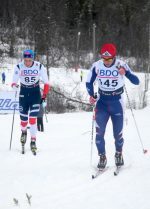 Klæbo, Falla Defend Beito Sprint Titles; Newell 16th, Hart 31st for U.S.
Norway’s Ingvild Flugstad Østberg and Didrik Tønseth opened their seasons with a bang at home in Beitostølen on Friday, beating out large fields in the women’s and men’s 10 and 15 k classic races. 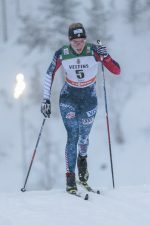 Several Canadian juniors and developing skiers raced, too, as well as American and recent MSU grad Cambria McDermott, who’s living and training in Norway.